Looking forward to fall here in Mineral Point. Mineral Point traditions give the town its rhythm. 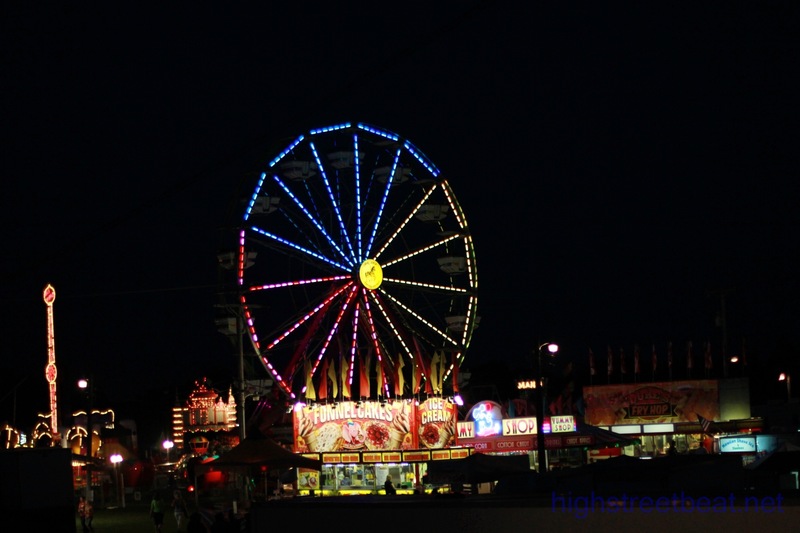 The County Fair — always held over Labor Day — trumpets the sad fact that summer is over. While Wisconsin native Josh Thompson’s concert, briefly overtook the harmonious mooing and clucking coming from the barns, Monday night’s demolition derby (won by a 16-year old girl!) provided the crescendo. And the view of the midway . . . well, see for yourself! Gallery | This entry was posted in Entertainment, Family, Food and tagged Josh Thompson, Julie Stephenson, Mineral Point, The Iowa County Fair. Bookmark the permalink.